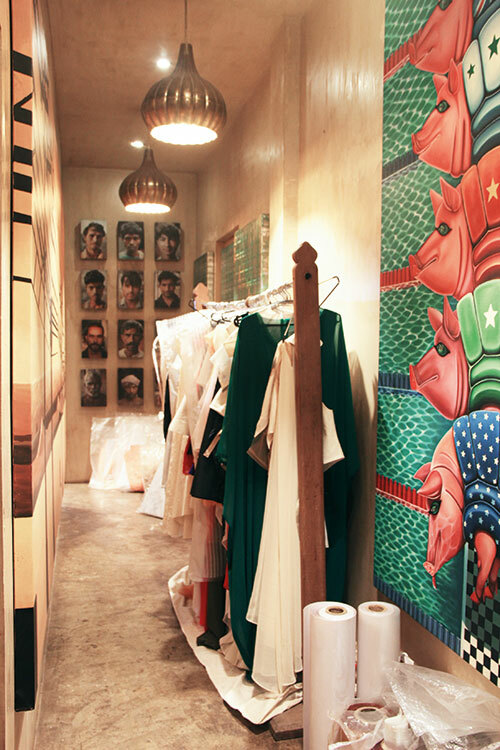 Spending time with the designer duo is like being carried into a maximalist’s fantasy. Nestled in a quiet lane in suburban Mumbai, their studio and office space is brimming with coffee-table books, awards, artefacts collected from different parts of the world and piles of magazines propped up on shelves. 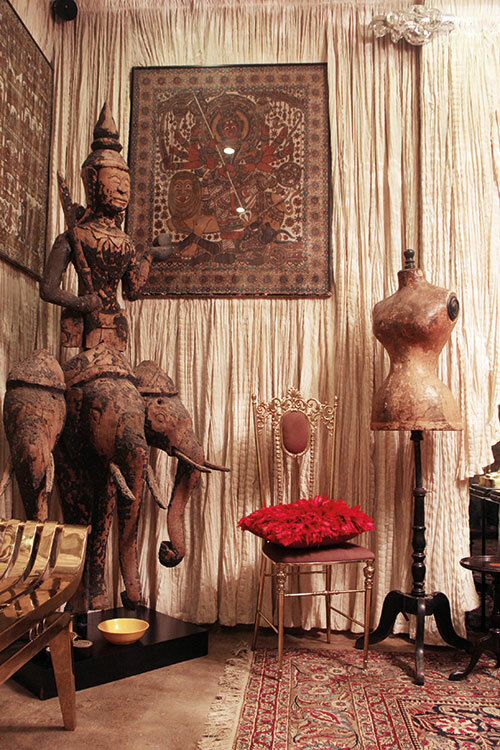 There are objects that lend a dramatic flair, like an antique brass mannequin poised in a nook. When it comes to style and theatricality, no one does it better than Abu Jani and Sandeep Khosla and the fact is only further underlined after looking at the flamboyant art blanketing the walls. The two have thrived in the industry for over 25 years, evolving with every season. It is not surprising then that The Boys — as they are lovingly called by celebrities and industry insiders alike — claim that their high-octane fashion house is only “getting younger and finer”. The pair veered West in 1987 — a year after their first ever collection was showcased in the country — and became celeb favourites shortly thereafter, enthralling both Hollywood and Bollywood. After dressing the likes of Dame Judi Dench, Beyoncé, Aishwarya Rai-Bachchan, the duo is all set now to cater to an audience that has only dreamed of owning their masterpieces. “We’ve wanted to launch this label for a long time as a lot of people have complaints that we don’t have an affordable diffusion line. Asal (which means real) was created to fill that gap. It boasts a good variety of blended fabrics and we work on hand machines, not computerised ones. 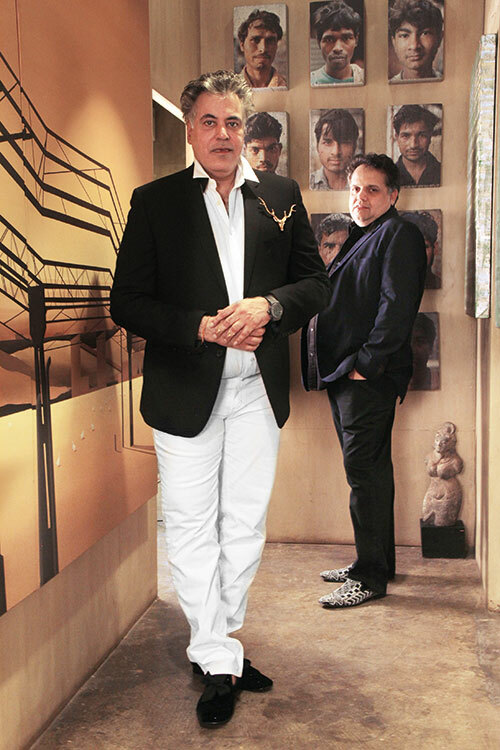 The whole idea was to offer our aesthetic at a modest price,” says Khosla. Though they have only recently executed this idea, the demand for this line had existed for a long time, confess the designers. “People would come up to us and say, ‘One day we will afford your clothes…one day I will wear your creations’. So now, we address an even wider audience,” they add. Known for their extravagant use of colour and embellishment, Jani and Khosla have always looked to India for inspiration. With fashion as the main anchor, they have branched into designing celebrity homes, airport ambience, red carpet dressing and accessories. And with the new label and aesthetics, their empire is growing even more multifariously. But even after spreading their wings so far, their forte lies in intricate hand embroidery and pure fabrics, and their most popular segment of clothing has become more coveted than ever before due to a decline in experienced and skilled artisans. All the more reason for their chikan work to climb up the exclusivity ladder. “Chikan is our Birkin. We have more demand than supply for it. A chikan sari takes up to six to eight months to complete,” claims Khosla. 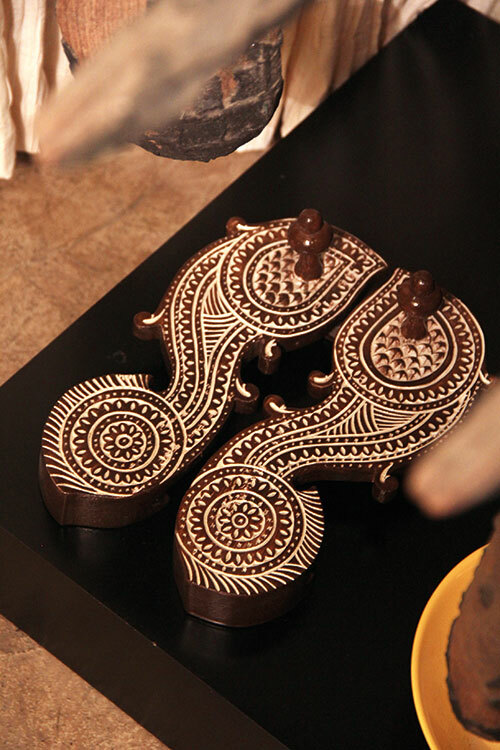 Over the years, they have garnered praise for dedicating nearly three decades to the revival of indigenous crafts. And a large part of what they create is a reflection of their fascination with cinema. Early on, Pakeezah and Mughal-e-Azam had inspired their rich, extravagant designs. Their involvement with Lucknow’s chikan embroidery goes back to 1994. Silver and gold zardozi, and mirror work are often seen in their collections, while their debut line, Mata Hari, focussed on bead work. 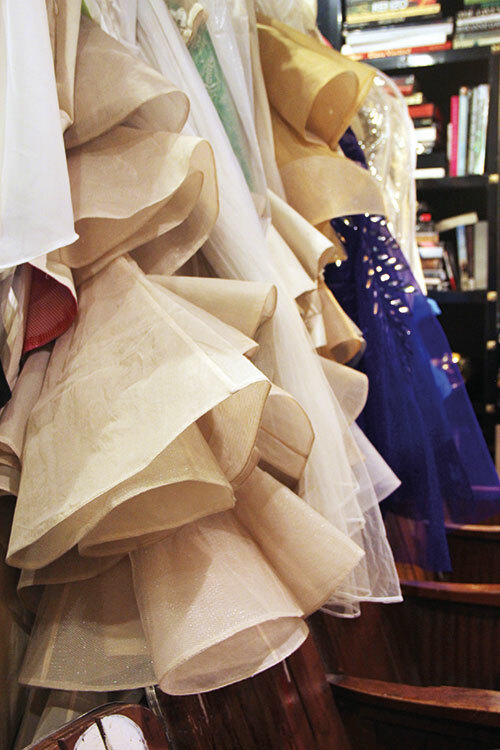 Experimenting with embroideries and fabrics at a time when the industry was still at a nascent stage, the power duo was among a handful of designers who joined Tarun Tahiliani at his luxury multi-brand store, Ensemble —­­ the country’s first couture house — in Mumbai, along with then leading fashion labels Asha Sarabhai, Rohit Khosla, Amaaya and Neil Bieff. A chance meeting with actor Shakira Caine at the boutique led them to showcase a collection of shawls at Harrods, making them one of the first Indian designers to retail at the London department store. Sinuous orientalism, which is at the centre of their ethnic signature, has not only defined their work in mainstream fashion but left an indelible impression on the archives of Bollywood costume. “The most rewarding moment of our career was winning the National Film Award for Best Costume Design for Devdas,” they say. The actual mirror-work ghaghra worn by Madhuri Dixit-Nene for the film’s promotions is displayed at London’s Victoria and Albert Museum, for the Fabric of India exhibit. The much-talked-about opulence is achieved by practising zero abstinence from luxury. “We never design with a budget in mind and believe that there is a buyer for everything in the world. We make things that appeal to our own selves first. The larger-than-life idea is translated in every sphere of our lives. We ourselves are larger than life in our sizes,” chuckles Khosla. They have received flak in the past for going bold, but their theory is simple — nothing succeeds like excess. So never mind the critics who chide them for their eccentricity and OTT style, their mantra is simple: “When you love what you do and do it well, you will find people who appreciate your work.” They’ve built their niche and an ever-growing group of loyal patrons who love them for exactly what they are.